PARIS -- A judicial investigation into diesel-emissions testing in France could widen beyond Renault after tests showed other carmakers had exceeded the authorized levels, French Environment Minister Segolene Royal said on Sunday, without elaborating. Shares in Renault fell more than 4 percent to their lowest level in around a month on Friday after a source at the Paris prosecutor's office said it had launched a judicial probe into possible cheating on exhaust emissions at the carmaker. Volkswagen Group's admission that some of its diesel vehicles were fitted with software designed to hide the true level of emissions they produced has highlighted that most cars emit far greater amounts of health-threatening nitrogen oxide (NOx) in everyday driving conditions than in laboratory tests. "A number of anomalies were noted on Renault vehicles. The controls performed far exceeded the permissible standards. This is also the case for other carmakers to a different extent. So there could be other investigations," Royal said. "It is a matter of justice and I do not interfere," Royal said in an interview with French weekly Le Journal du Dimanche. Besides Volkswagen, Renault is the only carmaker so far to be referred for possible criminal investigation in France over suspected breaches of emissions rules. "I have no reason to think that Renault cheated like Volkswagen," Royal said. French regulators began randomly testing vehicles to check differences between lab results and real-world emissions after VW's emissions-cheating scandal erupted. 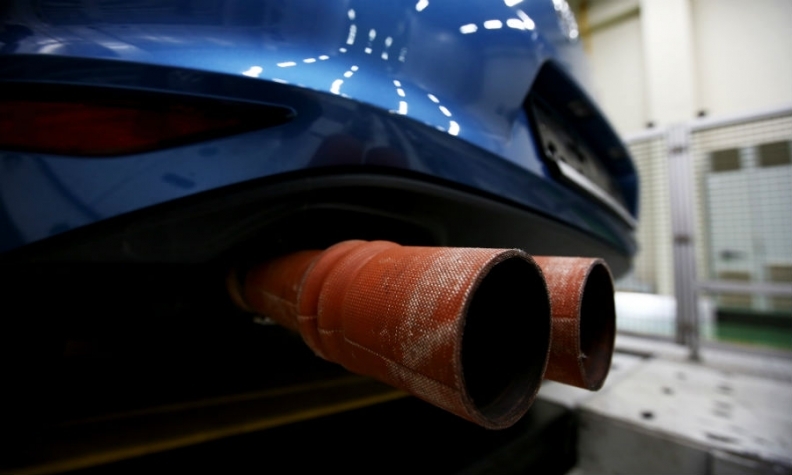 French officials said in April that some cars it tested from Renault and other automakers had higher CO2 and NOx emissions on the road than in laboratory tests but no "cheat" devices were found. Officials said the vehicles were made by Renault, Fiat Chrysler Automobiles, Mercedes-Benz, Volkswagen, PSA Group, Nissan, Opel and Ford.